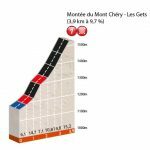 The Critérium du Dauphiné week long stage race begins June 5th – official race site here. 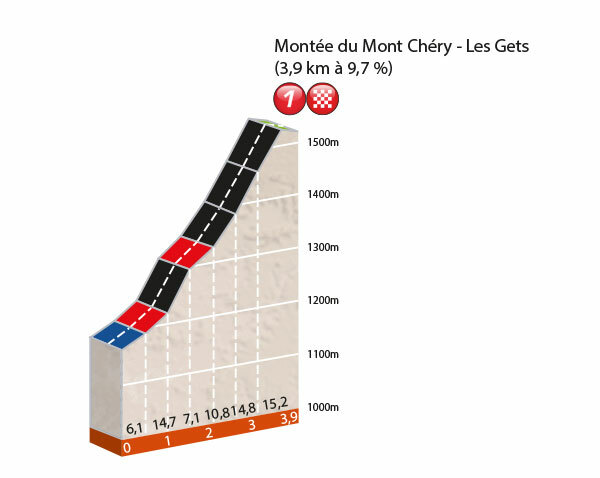 Of note, is the crazy steep 3.9 kilometre prologue above Les Gets (see profile at left). I know the area very well, but didn’t know the climb. Les Gets is a ski station in Haute Savoie, linked with Morzine. Mont Chéry is above town and covered with ski pistes. This route is basically a freshly paved ski-lift service road (in fact, they were paving it as I visited). Anyway, I was curious. So here is (an admittedly amateurish) video of the climb. Steep ! The best road bike loop in the area: Cols Ramaz, Encrenaz, Joux Verte, and Joux Plane. See here. 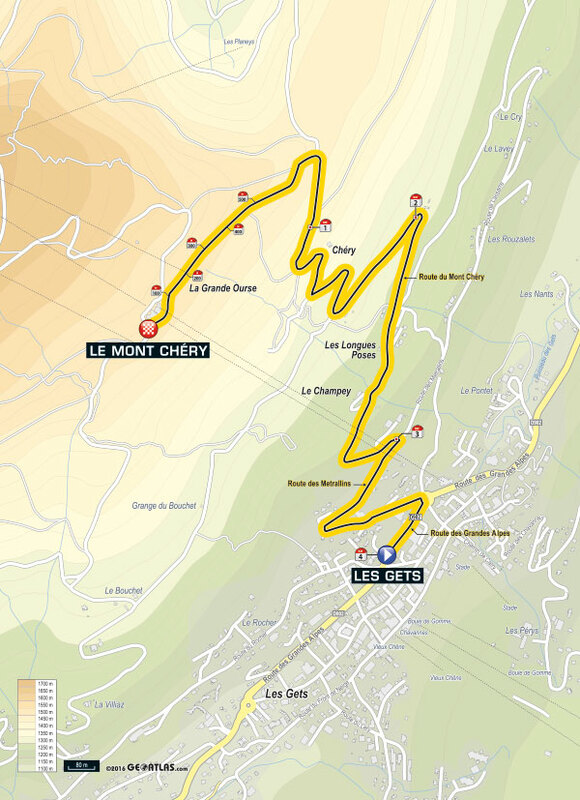 Note, you could eliminate any of the cols, simplifying the loop, by riding through Les Gets. Opposite Mont Chéry, also starting in Les Gets, is an unpaved route up to Col de Joux Plane. See here. The Etape du Tour and stage 20 of the 2016 Tour de France will be nearby. Route preview here.